We’re always looking for ways to continue to innovate what we’re doing at the brewery. Making beer is so much more than just ingredients and ABV. So with the holidays upon us, it’s fitting that we’re going to be releasing our first-ever bottled beer, a traditional English Christmas Ale on Thursday, December 13 at 4pm. The inaugural batch is brewed with sweet orange peel, cinnamon, and clove. We used high end Maris Otter as the base malt, dark crystal and pale chocolate malt to add color and flavor. We also decided to add some molasses which delivers a delicious sweetness in the finish. It is going to be around 8% ABV, so it is a strong, dark and spiced English ale, not the simplest beer we have ever made but the spices are restrained and the beer is balanced. 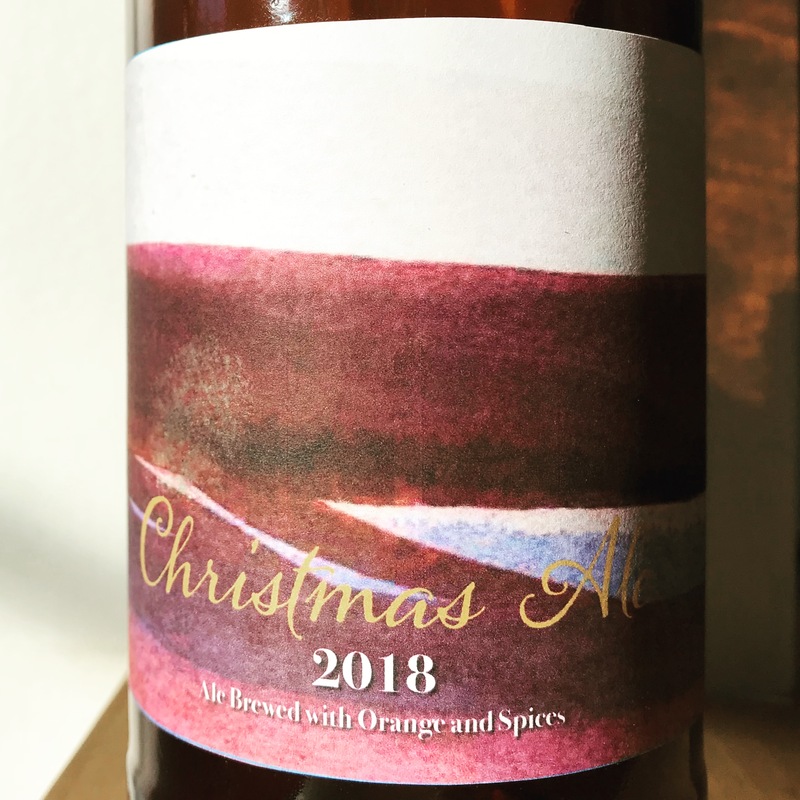 When we decided to make a Christmas Ale for this holiday season and bottle it, we needed a label and had the perfect Beverly artist to create it. Morgan Dyer is a seriously talented artist and we are lucky enough to count her as a friend. If you have had our beer, you know that we typically create straightforward beer. Morgan seems to create her work the same way, simple brush strokes and vibrant colors, beautifully combined. But as with all things that seem simple, the knowledge needed to create the final product is extensive. Morgan’s work was top of mind when thinking about the look for the label and thankfully, she agreed to accept the commission to create it. The beer was produced in limited quantity and there will only be about 300 22oz bottles for sale, priced at $12.25/bottle. The bottled Christmas Ale will only be available for purchase in the taproom. Complimentary tastes will be offered to those that want to purchase a bottle. Due to the limited nature of this brew we will not be offering pints or growler fills of the Christmas Ale while there are bottles for purchase. It will be a great stocking stuffer, or a fabulous beer to share before, during or after dinner. And for all the other fun things that are happening during the last month of the year, check out our December Taproom happenings!